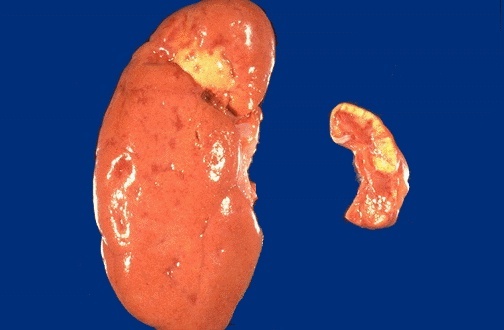 There is one normal-sized kidney with a granular surface and a few scattered, shallow cortical scars. The other kidney shows atrophy because of a narrowed renal artery, most often from atherosclerosis. Such a situation can lead to hypertension (Goldblatt kidney). What is the plasma renin level with the finding shown here most likely to be?